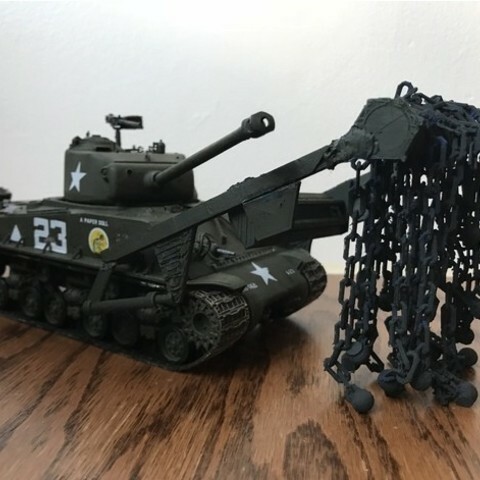 This is a 1/35 model of an American WW2 mine clearance plague. 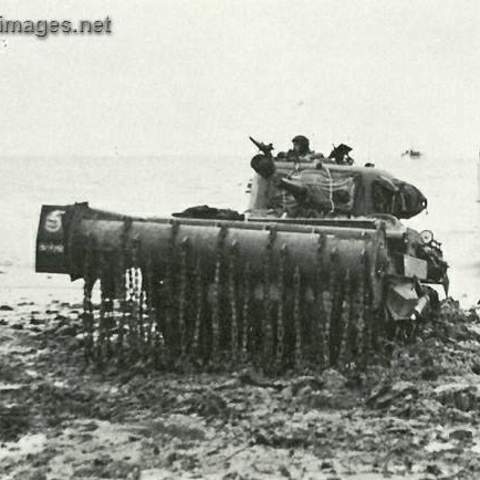 Known as "Sherman Crab". 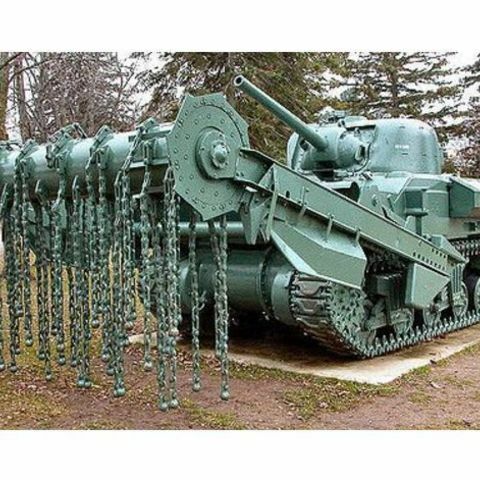 Once deployed, it was attached to the front of a 75 mm Sherman tank and 24 chains with small weights at the ends. These weights detonate mines in front of the tank, opening the way for infantry or other tanks. 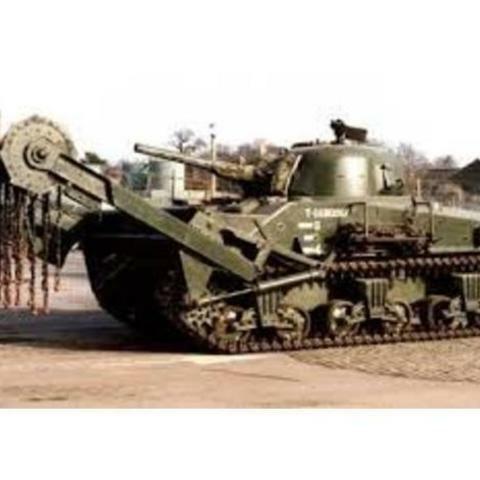 This minesweeper is designed for Sherman WW2 1/35th models but can be modified to fit other minesweepers. 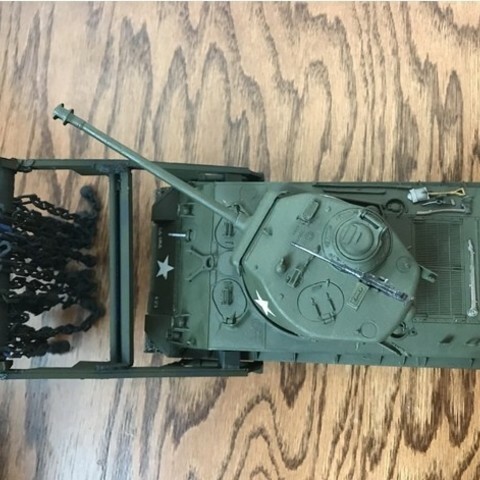 It is intended for 75mm Shermans with short barrel, but I attached it to a 76mm long Sherman in the picture above. Despite this, the dimensions of the side shell (the fixing point between the tank and the flail) are exactly the same. 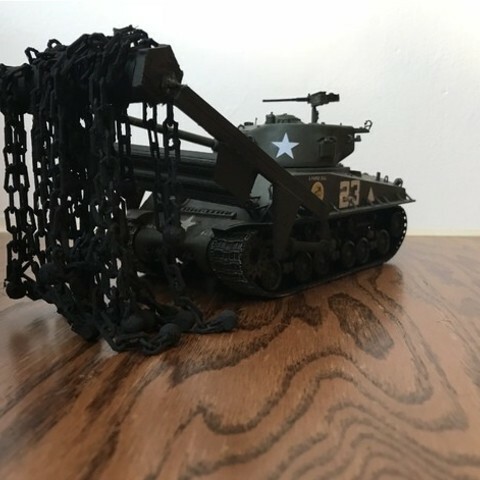 I apologize for the chain, it is a little big for the 1/35 scale, but it will not move properly (like a chain!). ) if printed smaller! Start by welding the end of the handgun to the inner wheel (make sure that the brick at the end of the handgun is opposite the wheel). Print 24 of the plague chains and make a small cut (with a pliers or a leisure knife) in the last link of the chain (furthest from the balloon) on each of them. Use the cut to slide the last link of the flail chains to the hooks on the surface of the outer visor. Insert the disc cap into the opening at the open end of the inner disc (which is now topped by the disc). Repeat step 1 using the dispensing cap and another side arm (Mk1.5), then repeat step 2 with a new hydraulic system and the side arm mentioned earlier in this step. Weld the Mine Shield between the two handguns, but make sure it is close enough to the pot to allow enough space for the saddle guns to attach to the tank shell, but far enough from the pot to be realistic. Over and out! 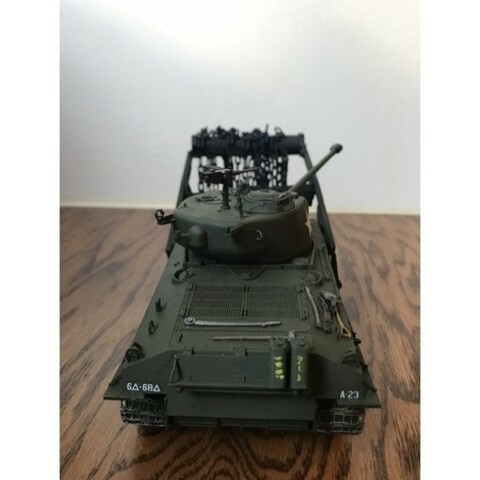 Attach the minesweeper to the tank and admire your model!